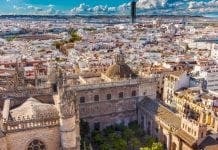 A DUTCH designer claims that the long-lost Titanic relic which resurfaced in Spain last summer is a fake. A plaque commemorating the ship’s launch, which had been lost for a century, made global news when a Granada art dealer offered it to the Spanish Titanic Foundation. He had apparently inherited it from his grandfather, who – unaware of its importance – had bought it from an English art dealer 12 years previously. The plaque, presented by the Royal Mail Steamship Union, is currently the star attraction at the Titanic exhibition in Granada which be touring Europe next year. 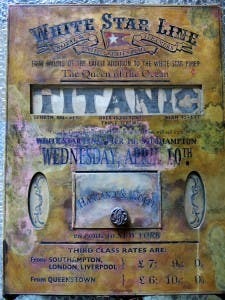 But now Titanic fanatic David van Dalen, 51, has dropped a bombshell by seeming to prove that the plaque is no more than a 1990s fake. He noticed a range of historically incorrect characteristics in the many font types used. At least four of the fonts are known to have been released between 1915 and 1989. Furthermore, several text lines are either compressed or extended (distorted), an effect produced only by a computer. “This so-called important resurfaced relic proves to be fakery beyond any doubt, not priceless but virtually worthless, fabricated and fake-aged by an unknown maker using computer fonts randomly and unwittingly like an ignorant child,” said Van Dalen. Meanwhile, the photographic depiction of an illuminated ship is taken from a well-known series of images of the Titanic sailing away from Southampton, the day after the plaque was presented. 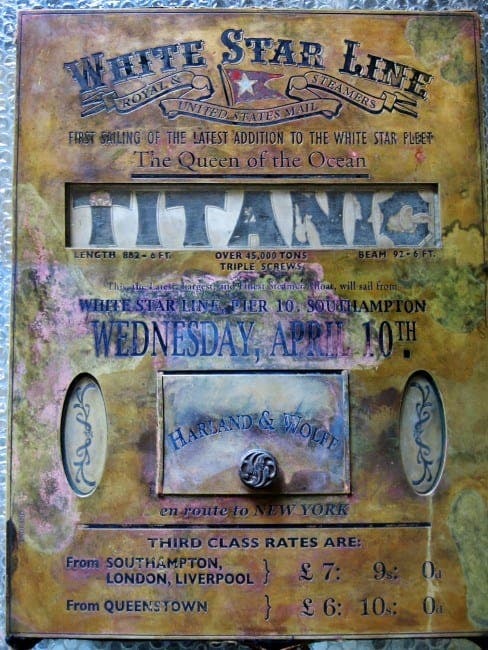 The president of the Titanic Foundation, Jesus Ferriero, said the plaque will continue to feature in the European tour despite the findings.